Standing on the bimah for Yiskor was particularly sad for me last year. For the previous 35 years I had the honor to ask Lee Siegel to join me help make the annual appeal. Lee was special. His life was a gift to all of us. He was a righteous man and mensch. He lived the mitzvah of Tikkun Olam. My first meaningful recollection of Lee as leader was during the 1973 Yom Kippur War when he made an impassioned plea for our community based congregation to generously donate to save Israel. Of course, everyone responded generously. Lee‘s leadership held Agudas Achim together until a new generation arose with a new enthusiasm. Without his persistence, insights and willingness to share his numerous personal gifts, we would not exist today. Aren’t we lucky, Lee was around to guide Agudas Achim for over 65 years. He had an uncanny ability to bring people with differing perspectives together. All who knew him are much better human beings because he touched their life. He often reminded me that as President of the school board in 1967, he hired me as a teacher. I am grateful for his support, friendship and fatherly advice. His presence was instrumental in making my journey through life meaningful and rewarding. I know I am only one of many with similar thoughts. We will all miss Lee. 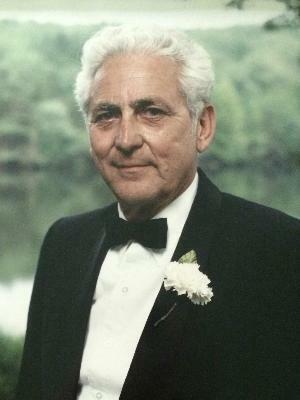 With his passing a large hole was created in lives of many, especially Gary, Judy, Max, Georgia and the rest of the large Siegel clan. We pray that the deep impressions he made on his family, friends and community will guarantee that the memory of his life will live for eternity. Rest in peace Lee, for a life well lived.